Wilderness Therapy has at least a 10 year history of working with youth at risk who demonstrate behavioral problems that are most typically characterized as oppositional, defiant, antisocial and conduct related. Until recently, wilderness based treatment interventions for mental health problems were largely unrecognized by health care. 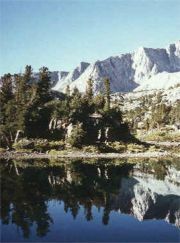 The use of Wilderness Therapy as an intervention and treatment model for mental health problems such as depression, anxiety and substance abuse is of growing concern as wilderness programs increasingly admit students with behavioral problems who also have co-morbid (concurrent) psychological and medical problems. The following is a brief outline of issues that programs and consumers should become familiar with. Misuse of medications. Students entering programs (coming to programs) are frequently on medications that are used to control behavioral problems. Today's health care practices frequently use psychiatric medications to change thoughts, feelings and behavior without dealing with more obvious but difficult social and interpersonal causes. Many parents are not provided with an adequate understanding of alternatives, the availability of treatment resources and the risk or benefits of the medications their child is taking. In a significant number of cases, children are given medications to treat behavioral problems that are caused by family problems, social and peer interactions in schools and peer social interactions outside school. If behavior improves after taking a medication, then many parents and teachers conclude that the medication is necessary and effective. Sedating side effects. Many psychiatric medications have side effects in other regions and organs in the body. The associated side effects (ASE's) of many medications are increasingly used to restrain angry and impulsive behavior. Many children are placed on antidepressant, antiseizure or antipsychotic medications that have a powerful sedating effects beyond the intended psychological purpose of the medication. The effect of sedation is often perceived as an improvement by parents and primarily by teachers in schools. The effect of these medications are not proven to be significantly different in their behavioral impact than drugs like Valium and Xanex, but they are more attractive because they carry a low physical addiction and withdrawal risk. Many medications that are approved for adults are given to children without Federal Drug Administration testing or approval. Unqualified staff to monitor medication risk and benefits. Wilderness guides and instructors are generally not trained or qualified to work with students who are taking certain medications - especially antipsychotic, antimanics and antiseizure medications. While many of these medications may have benefits, they all have side-effects and they can have potential impacts on a student's immediate and long term physical and psychological health. Clinical oversight. Changing medications, starting medications, changing the dosages, or discontinuing a medication in the field can be dangerous without clinical oversight. In order to monitor and evaluate the effectiveness of medications there must be qualified professionals involved in assessing behavioral as well as mental and emotional status. The most qualified professionals who can evaluate and observe psychological and behavioral changes include a clinical psychologist, psychiatric nurse, psychiatric nurse practitioner or psychiatrist. Wrong medications. Many of the students who enter a wilderness program are often on the wrong medication or should be taken off most or all of their medications. Today's managed health care generally does not allow prescribing physicians adequate time, nor do they train physicians to properly observe and evaluate children. A 20 to 45 minute appointment that occurs two or less times a month is not adequate to understand and treat the behavioral and psychological problems. Medications trails are exactly that - trial and error until a favorable effect is observed or reported. Insuring that staff are qualified and trained. Relying on an unlicensed or untrained therapist (or counselor) to assess and work with a child can be dangerous or diminish the benefit of a wilderness program. To some extent, the personality of a staff person, field guides or instructors can have a dramatic impact of students. However, simply calling staff a counselor because they provide counseling may in some case be more harmful that simply exposing children to adversity of the wilderness without the pretense of professional mental health care. Well meaning staff are not necessarily qualified to evaluate, assess, interpret, confront and redirect all behavior problems. Crisis intervention. Crisis Interventions in the field must be supervised and implemented by qualified, experienced and licensed professionals. Anything less than qualified interventions are potentially dangerous. Crisis interventions conducted by untrained paraprofessionals are unsafe. Appropriate treatment staff assignments. Students with a history of a dramatic change in behavior, or a decline in functioning, should be assigned to a licensed clinician who has differential diagnostic experience and clinical experience working with adolescents with psychotic, substance abuse and mood disorders. The environments children come from usually need to change. While the environment that a child comes from may or may not have been responsible for the child's current problems, changing or improving the environment that a child returns to is essential to insure that gains are not diminished. Family therapy and developing new parenting skills that are strategic to a child's problems are important. Children require clear and specific rules that are consistently enforced, as well as supervision that is appropriate to their level of need. Structure, re-entry into the family and support are crucial elements in a follow-up plan. Simply releasing children back home without intervention or follow-up support seems to explains lower success rates. Family therapy and parent training are essential to assure success. The gains in wilderness are lasting for some students, but behavioral problems require supervision and monitoring if a student returns home. Follow-up from these programs represent a deterrent to behavioral problems that are intentional, the result of family communication problems or due to inadequate supervision. Wilderness therapy is not.... putting children in the wilderness is not therapy. The wilderness has an innate ability to realign the behavior of children with nature, the realities of life and their real self. However, wilderness therapy is not a universal treatment for the problems that children bring to the wilderness. There are certain problems that will remain and require further treatment after a child graduates. Proper screening is critical. Children who are not adequately screened and are unable to adapt to a wilderness program are placed in danger of physical or psychological harm. Screening by qualified professionals is an important part of assuring your child's health, safety and well-being.